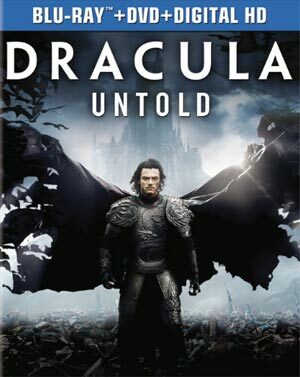 Universal Home Entertainment just unveiled details about the upcoming release of Dracula Untold, the first movie in a full series of reimaginings of the studio’s classic monsters, scheduling Blu-Ray and DVD versions for release in February. Witness the origin story of one of legend’s most captivating figures in the action-adventure, “Dracula Untold.” The year is 1462 and Transylvania has enjoyed a prolonged period of peace under the just and fair rule of the battle-weary Vlad III (Luke Evans), the prince of Wallachia. But when Sultan Mehmed II (Dominic Cooper) demands 1,000 of Wallachia’s boys—including Vlad’s own son—become child soldiers in his army, Vlad must enter into a Faustian bargain to save his family and his people. He gains the strength of 100 men, the speed of a falling star, and the power to crush his enemies. In exchange, he’s inflicted with an insatiable thirst for human blood that could force him into a life of darkness and destroy all that he holds dear. The DVD version will include a Commentary Track by Director Gary Shore and Production Designer François Audouy, as well as ”Day in the Life” with Luke Evans. Also included are the Featurettes ”Dracula Retold” and ”Slaying 1000”. 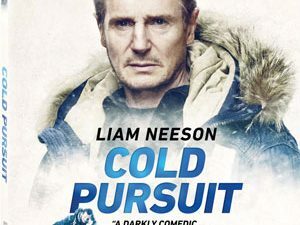 The Blu-Ray version will include the same Commentary Track and featurettes, as well as an Alternate Opening with Optional Commentary by Director Gary Shore and Production Designer François Audouy and Deleted Scenes with optional commentary. The Featurette ” The Land of Dracula” will also be part of the release, along with a look at Luke Evans: Creating a Legend. “Dracula Untold” will arrive in stores on February 3 for $34.98 as a Blu-Ray/DVD+DigitalHD Combo and $29.98 for the DVD.